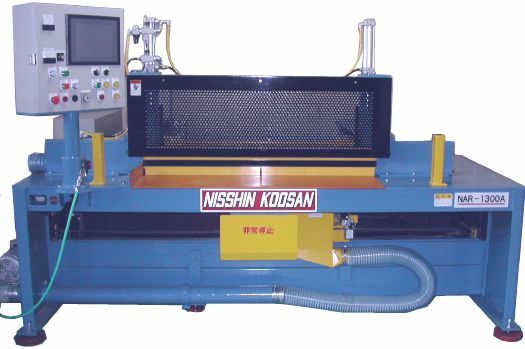 NHR Series Running Saw | NISSHIN-KOOSAN.Co.,Ltd. NHR series running saw is a high precision cut saw backed by some 30 years of operation to complete the high level of safety and handling. Our synthetic resin machine was developed to meet the needs of users with repetitive modifications backed by over forty years of the pioneer experience. 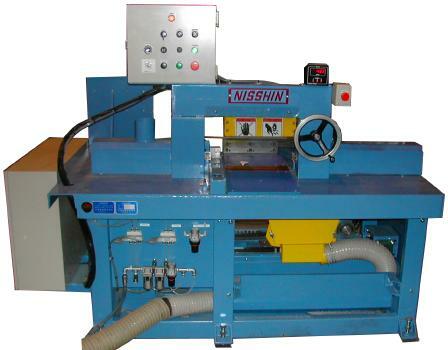 The automatic precision running saw NHR series was developed with the theme of safety, handling, cut-face, perpendicularity, and precision retention structure using the latest technology and featuring many advanced characters. The rigid structure of NHR series is guaranteed for high precision cut. 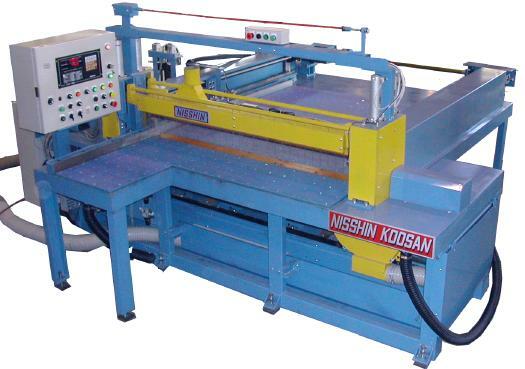 Several optional accessories are available on 1. main shaft, 2. transfer speed, 3. cutting thickness, 4. movable gauge, and 5. saw table dimension. Custom order accepted for your specific needs.